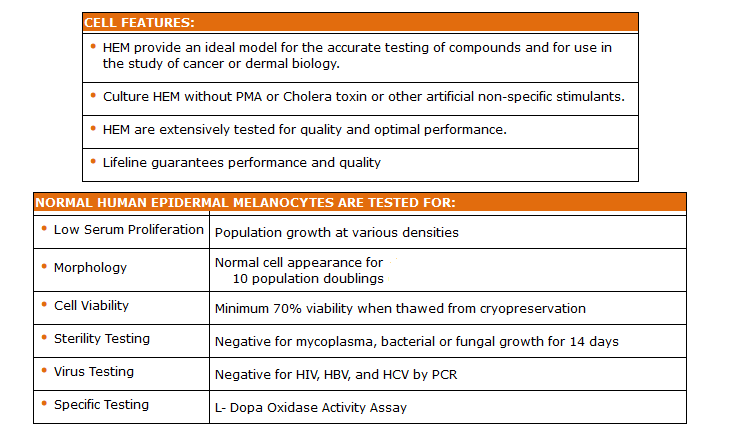 Lifeline® normal Human Epidermal Melanocytes Adult, secondary, highly pigmented (HEMa-HP), when grown in Lifeline® DermaLife Ma Medium, provide an ideal low serum culture model, without PMA or Cholera toxin, for the accurate testing of compounds and for use in the study of cancer or dermal biology. 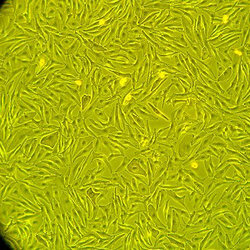 Lifeline® Adult Epidermal Melanocytes are plated and expanded in culture vessels twice before being harvested for cryopreservation to ensure the highest viability and plating efficiency. 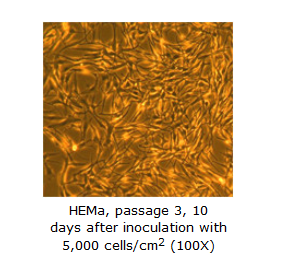 Our HEMa-HP are quality tested in DermaLife Ma Medium to ensure optimal reduced-serum growth and morphology over a period of at least 10 population doublings.